Angular Annie Ring a new twist on the orginial Annie ring. Still a fab cocktail ring! 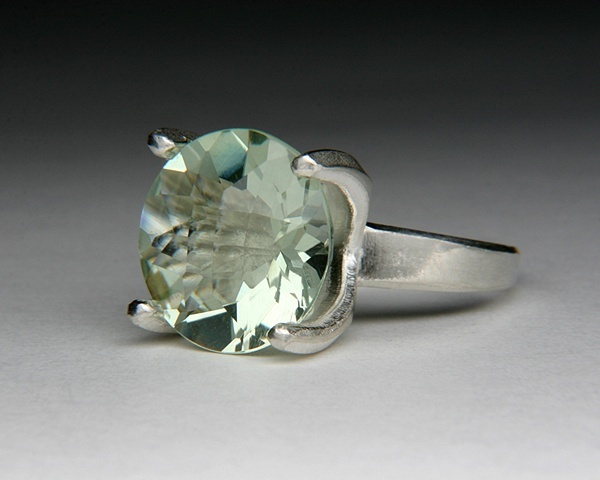 The aqua green hue of this Prasiolite is beautiful! Stone size: 15mm 9.43 Carats. The metal is 925 Silver with a "De-ox" alloy to prevent tarnishing like regular Sterling. #JC560. Signed by Jewels Curnow.